From Romantic music we have come to expect grand tunes, a sense of national cultures, excitement and passion and perhaps a real show of virtuoso playing. 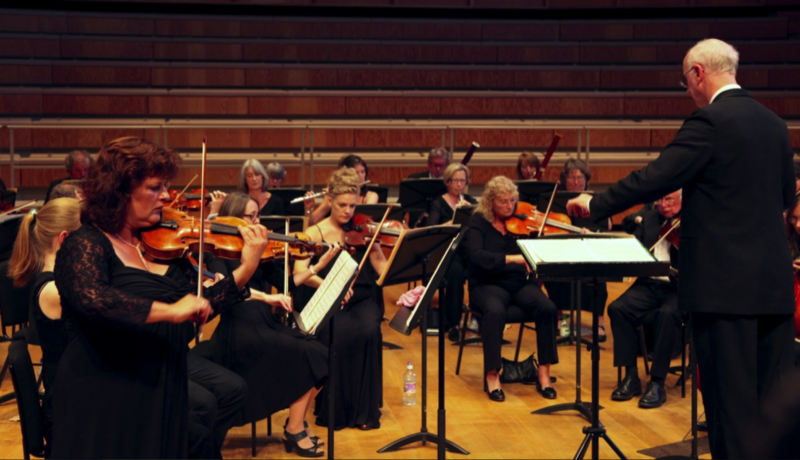 At the Canterbury Orchestra’s “Romantic Masterpieces” concert given on 28th March 2015 at the Colyer-Fergusson Hall we were certainly not disappointed. The orchestra’s conductor, Andrew Lowen, is well known for his innovative and stimulating programming and on this occasion he chose to spotlight three grand Northern pieces. The first was the much loved Romeo and Juliet Fantasy Overture by Tchaikovsky – a masterpiece indeed with its haunting opening chorale evoking medieval times breaking into the throbbing themes of the Montagues and Capulets. Breaking through all of this, the splendid horns and violas gave voice to the innocent but doomed love of Romeo and Juliet. This is a long overture, but never did the orchestra lose momentum as the woodwind and then the strings deftly built tension with well worked contrapuntal passages until the hall was left in silence after the notes of the poignant funeral march died away. Another concert favourite was to follow with the concerto –Grieg’s A minor piano concerto. The soloist, Vidas Vaitkus, was only born in 1994, but showed tremendous maturity with this rousing and authoritative performance. From the famous opening arpeggios, the atmosphere in the hall was electric and the orchestra clearly inspired. Their handling of the delicate first theme was superlative and they maintained excellent dynamic balance throughout. The cadenza was thoughtful and intelligent as a pianist of great promise explored the wonderful themes of this inspired concerto – no surprise then, that the audience burst into applause at the end of the first movement. Calm was restored with some delightful lyrical string sounds as the lovely melody of the slow movement unfolded to reveal exquisite horn playing with beautifully judged dynamics. The mood changes dramatically for the third movement but the orchestra coped with ease with the frisky tunes of Nordic folklore. Just before a scintillating climax there is a delicate dreamlike motif - played superbly on the flute here – which introduces a pulsating coda which gave this young pianist the opportunity to treat us to some real virtuosity. This was what Romantic music at its best is like – and the audience responded by rising to their feet in appreciation. It was a fitting end to the first half that Vidas, who was born in Lithuania, should play an encore by a composer from his homeland. Borodin’s Second Symphony – a tour de force that is not performed often enough – returned us to Russia for the second half. It provided both an invigorating contrast to the first half and a fitting climax. Here is a piece that relentlessly relies on rhythm – the boots of cossacks and the stamping of peasant dancers. Some expert bowing in the strings – led by Amanda Wyatt – gave a sense of boundless energy to the first movement but left room for the gentler themes which broke through to remind us of the peace of the countryside. The following scherzo is extremely tricky to play with pizzicato at great pace, but the orchestra rose to the challenge supported by some delightful snappy trumpet playing. However, the real climax of the performance was the quite breathtaking splendour of the slow (third) movement which opened with a quite gorgeous horn solo, mournful and nostalgic. Nearly every section then takes over that wistful theme and it is great credit to the orchestra that never once did its phrasing slacken. The spirited rhythms of woodwind soloists were a particular feature of this engaging, complex piece. The evening was brought to a grand finish with the tempestuous last movement – a flourish which rounded off an evening of great music played with passion and commitment.